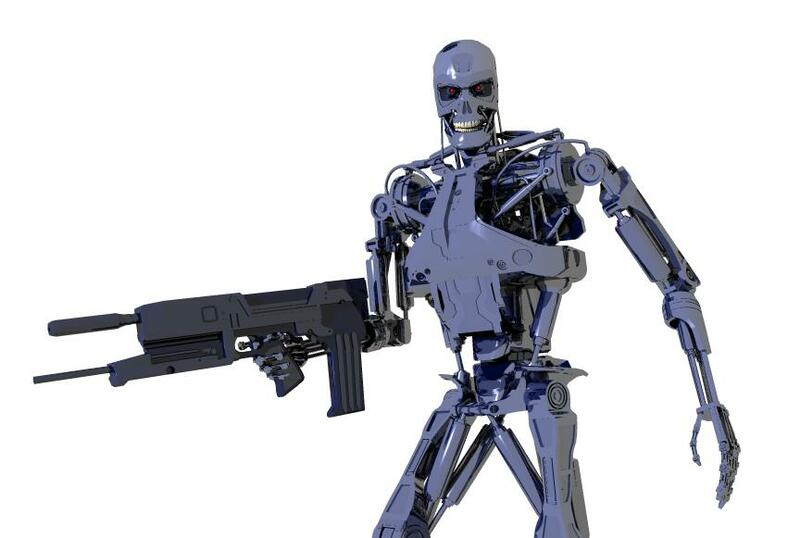 This is not the best Terminator model out there. It's not the most detailed, not the most accurate. But what makes it special is that it was created with SketchUp and in order for me to introduce you to my model, first I will have to introduce SketchUp. SketchUp is a 3D modeling program, created by @Last Software (which was recently acquired by Google). Even though it's considered a general purpose 3D content creation tool it's mainly used for architectural projects. It's probably the most intuitive and easy to use 3D modeling program when you need to create something as simple as a building, a table or a sink. Unfortunately the simplicity of use comes with a price and that is the lack of some more advanced tools and options for creating more complex geometry. Therefore, trying to make a good model of a modern car (or say, an Endoskeleton ;) in SketchUp is harder than in 3DS MAX, for instance. Still, SketchUp is more powerful than some people believe, and if a modeler puts their mind to it they can create almost anything. When I got my hands on SketchUp I had never used a 3D creation tool before. 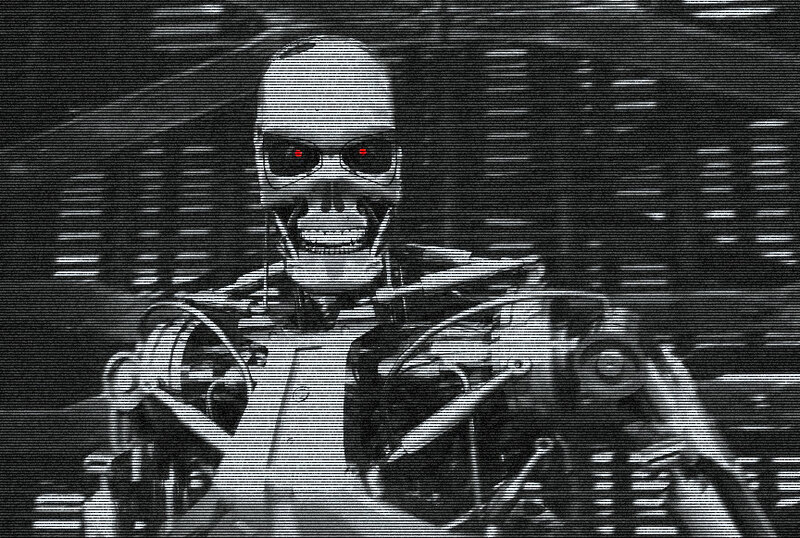 Since Terminator 2: Judgment Day was my favorite movie from when I first saw it 17 years ago, the first thing I wanted to create was the T-800 Endoskeleton. Of course, my skills at the time were far from the level required to create something so complex. 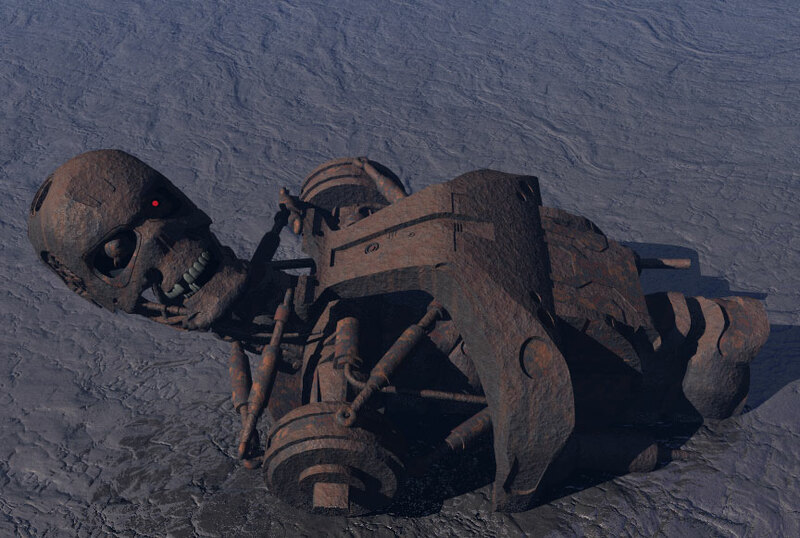 Other SketchUp modelers even told me it was near impossible, mentioning that the hardest part would be the skull. 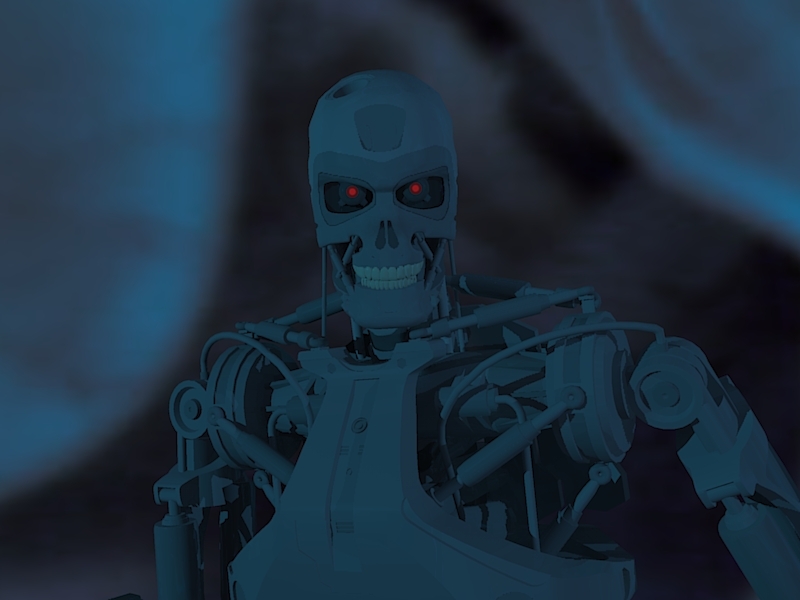 But I didn't listen, went ahead and created my first terminator model. It was a disaster. 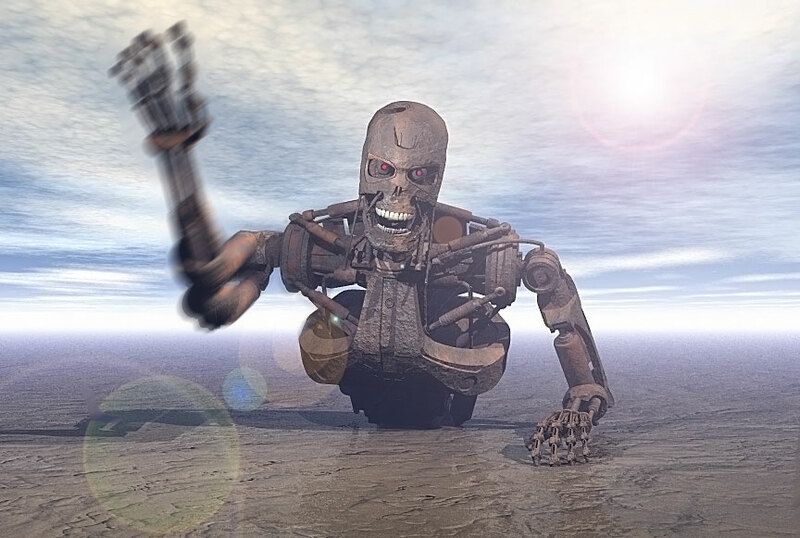 A disgrace to the Endoskeleton's beautiful visuals. So I decided to leave that project for a while, at least until I upgraded my skills. 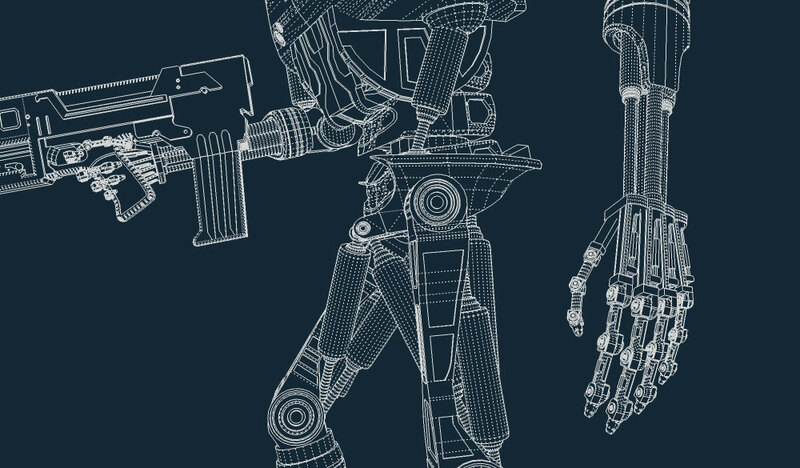 I created many well received models of weapons, watches, trains, towers, motorcycles, etc. I came up with some new techniques that helped me use SketchUp's disadvantages to my advantage. And I waited. One day, while watching a show on The Discovery Channel about MRI's and how they recreate the human head and brain into a 3D model section by section - it struck me. 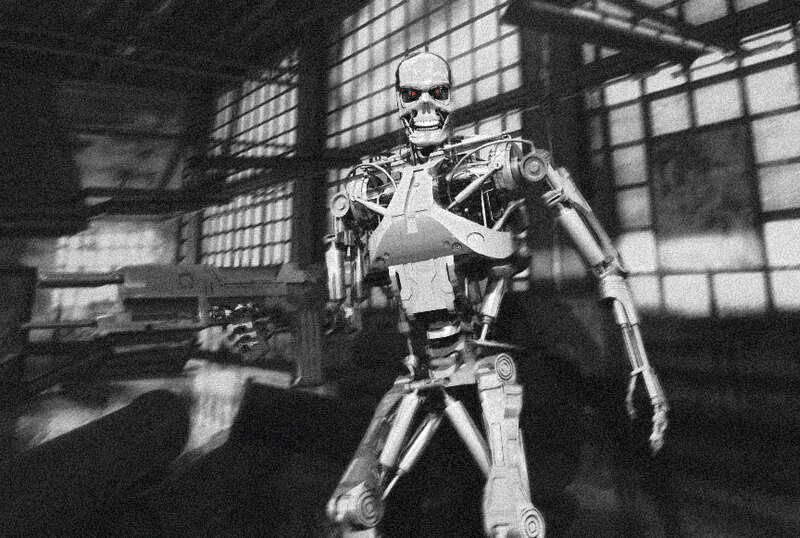 That was how I could make the Endoskeleton skull with SketchUp! By cutting the front and side reference images into sections, modeling each one separately and then attaching them together I could finally create what I've always wanted! I ran out of the living room, turned on my computer and began my work. The technique worked like a charm. After the head was successfully completed the rest of the body was a walk in the park with the help of a pleiad of reference images. 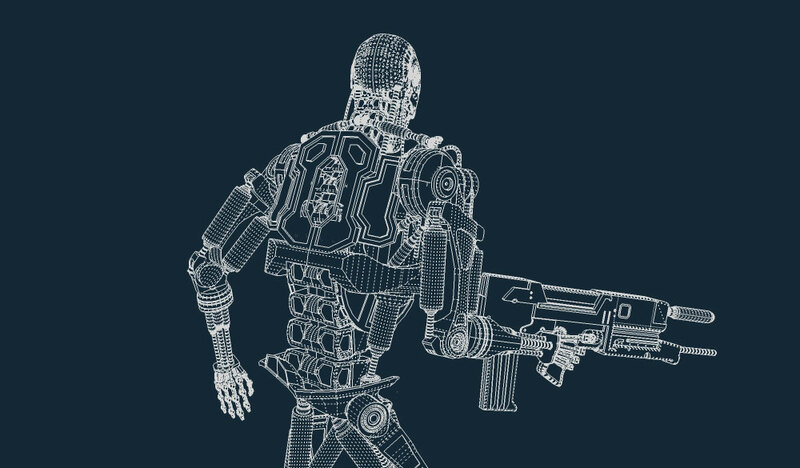 I even considered having a look at other people's 3D endoskeletons but decided against it since I considered it cheating. 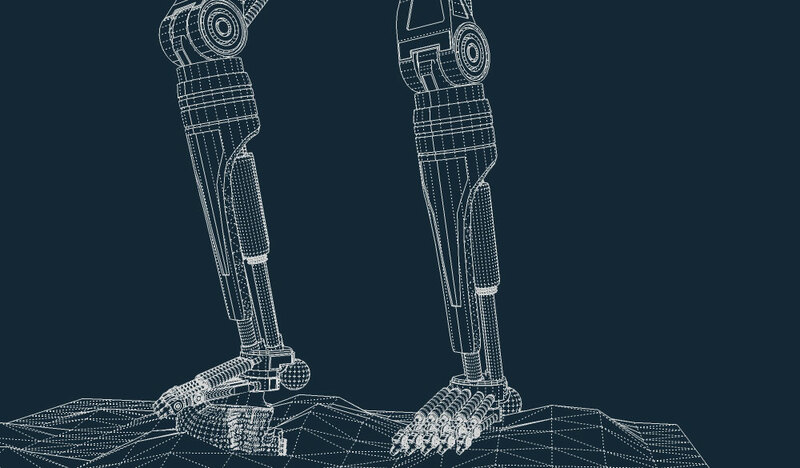 After 3 weeks of on and off modeling the Terminator was complete. I uploaded it to the 3D Warehouse (a place where SketchUp modelers can share and comment on their creations) and the feedback I received from users was more than flattering. 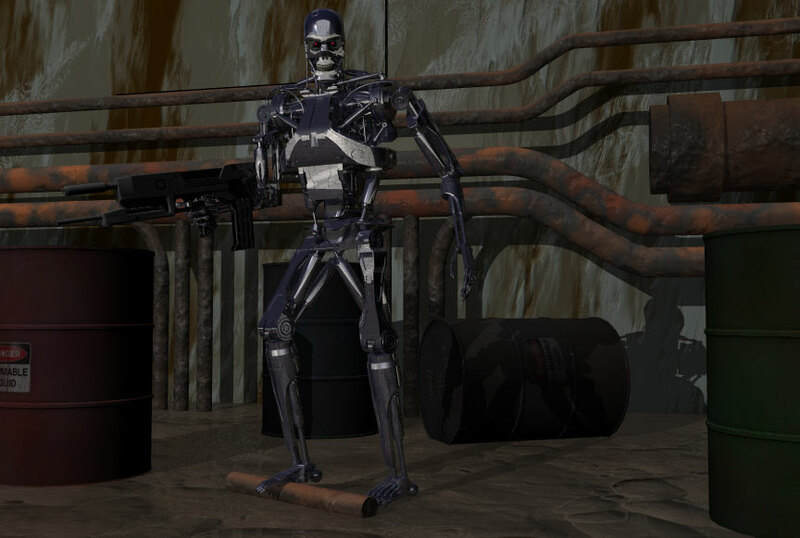 And now, thanks to the TerminatorFiles.com site, I can share my model with a much broader audience. I hope you enjoy it at least half as much as I do, which is less than half as much as it deserves :). 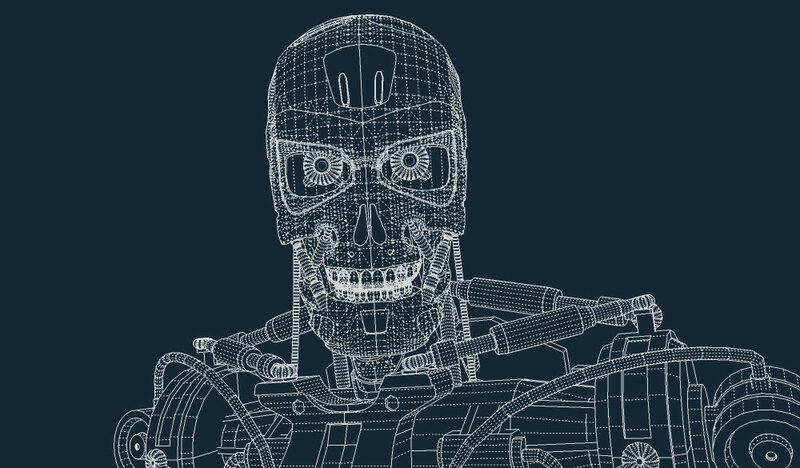 Here's a short video presenting the model in synchrony with the soundtrack from the Terminator 2: Judgment Day movie. It was made with some of the earlier renderings which were not as successful as the succeeding ones but the movie still does the job of introducing the model in an appealing manner to Terminator fans. A downloadable, higher-res version is available at the bottom of the page. 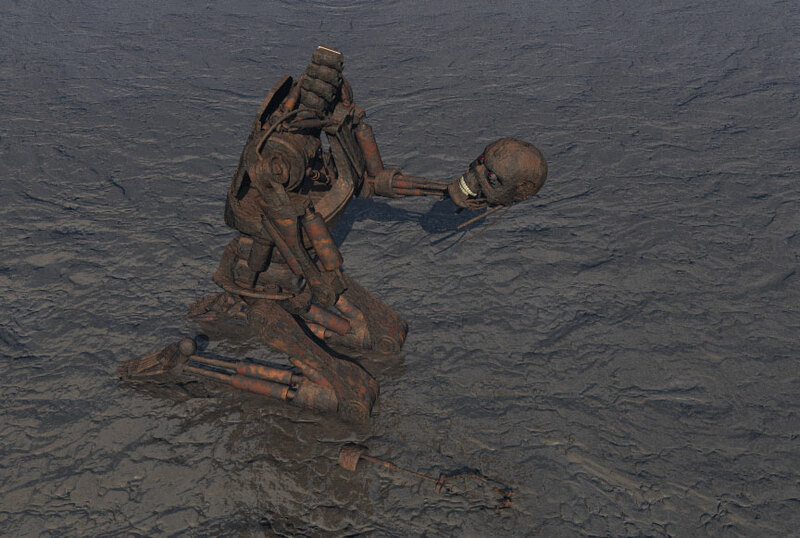 The next step for me to make with this model is to animate it. Unfortunately, I have absolutely no knowledge of 3D animation and my old and slow computer probably won't be able to handle it. Currently, I'm using a neat physics plug-in for SketchUp (SketchyPhysics) that opens up great possibilities for animations, although not full body. I've been playing around with it and I'll be sure to post some of my results if deemed worthy for this site. I wish to thank my fellow SketchUp modeler 'RLgun' for his advice, his great help with the renderings and for introducing me to the inner works of SketchyPhysics. Be sure to check out his site where you'll find a collection of his fine renderings and models. Check out some images from this FanProject. Click the specific thumbnail for a compressed file, download it, unzip and watch!